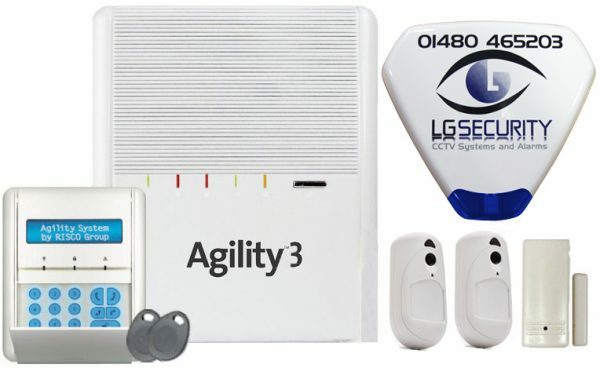 Burglar Alarms - Want to make your home more secure? Within just one week of your order a wireless burglar alarm system can be installed by experienced engineers to meet the exact security requirements of your property. A wireless alarm from LG Security is your alarm. You own it outright. No service charges, no subscriptions, no contract – service and peace of mind without the headache of yet another monthly bill. When you order a wireless alarm system, it comes with the complete package. Complete means an easy to use keypad controller (used to arm and disarm the system), PIR movement detectors and a front door contact. There will also be an outside sounder attached to the front of the house as a visual deterrent. Installed within one week of your order and supported by LG Security a local security company. Order your home alarm today and have it professionally fitted within a week. No wires, no disruption, no risk and no ongoing payments. Just expert alarm installation that leaves your home fully secured. The security of your home should never be left to chance. We offer an annual alarm installation 'check up' of your wireless alarm – available at a reduced cost if you book it when your system is installed. Installation by LG Security engineers, a 12 month parts warranty, a three year installation guarantee – and an annual system check. They’re all aimed at helping your home feel more secure. With LG Security you get exactly what’s right for your home. When the Engineer arrives to install your home alarm he can give you professional advice on whether or not you need any extra sensors or controls. Then your engineer can supply and fit any extras during the same visit. So, you don’t need to pay for extra bits until you have had expert advice on exactly what your home needs. You only get what you need to make your home and your family feel more secure. All our prices include VAT. Have a look at the packages below. The price of your wireless alarm system includes fitting and VAT and items that you may think of as extra. Order your new burglar alarm system today to have it fitted next week for £599. Take all the advantages of our Home secure alarm system then add advanced technology, enabling you to arm and disarm your alarm from a remote keyfob as well as having the alarm call you if it's been tripped so you can take the appropriate action. Order today to have it fitted next week for £750. App enabled lets you connect and manage your Alarm through your smartphone, tablet or PC. You can remotely set and unset your alarm from almost anywhere. If you ever leave the house and can't remember if the alarm been set or not, the app enabled system is the one for you! If you have any questions about our home alarm systems or need any assistance making a decision you can telephone us on 01480 465203 or contact us by email via the form.